Message Kodaikanal WhatsApp Number: +91 811 000 333 5 for all information and questions on Kodaikanal . 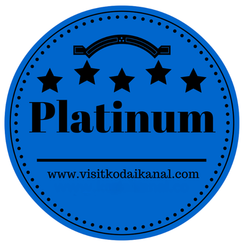 In Live Time we will tell you the best deals, restaurants, hotels, tours, cab services, sightseeing places, jobs, medical stores, hospitals all information on Kodaikanal. Welcome to the most picturesque hill station in South India . Come and discover Kodaikanal, world-famous for its natural scenic beauty, flora and fauna and spectacular heritage. 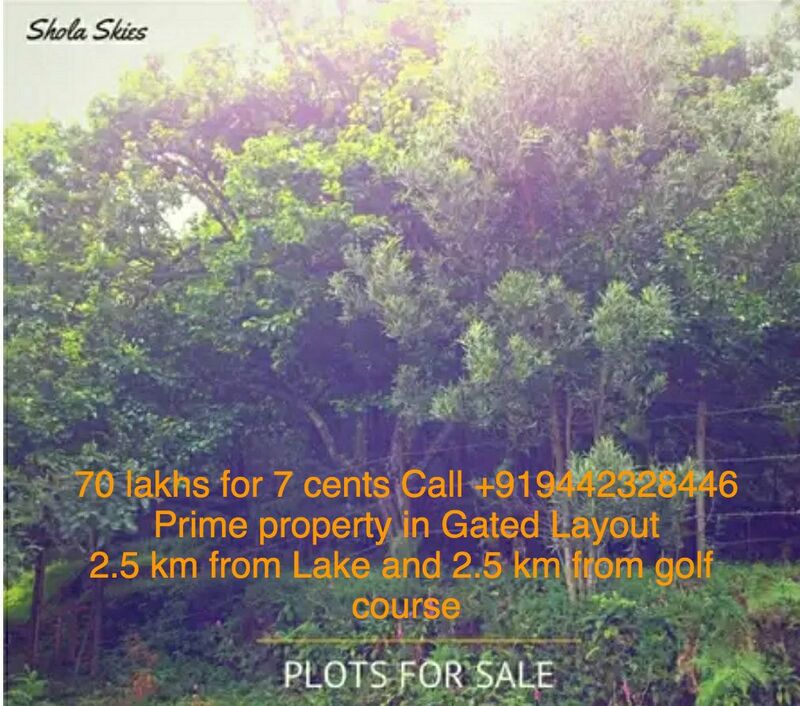 Buy property in kodaikanal, find the best builder in kodaikanal, find the best hotel in Kodaikanal, the best school in kodaikanal, the best restaurant in kodaikanal and more.. Ranked by National Geographic as one of top 5 places in the world for best weather; Kodaikanal is a hill station in the state of Tamil Nadu, India. Every stay here is sure to be packed with brilliant moments, sights, adventures and experiences that make a visit truly memorable. You are invited to join us and truly experience the splendor of all that makes Kodaikanal an amazing place to visit. Plan your break here with great accommodation deals, helpful travel advice and inspiring ideas for what to see and do. 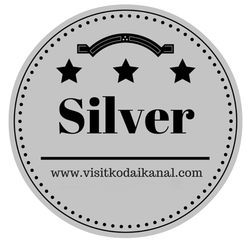 This website is devoted to providing its visitors and residents with detailed information about Kodaikanal’s tourism, kodaikanal hotels, luxury stays, kodaikanal cottages, real estate, natural beauty spots, travel destinations, highly rated accommodation and more. Discover Kodaikanal – the famous hill station of Tamil Nadu - with us. 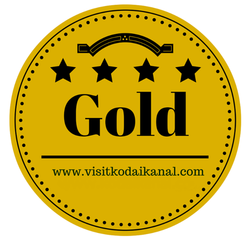 We offer holistic opportunities, helping you to immerse fully in Kodaikanal’s culture,environment and economy. This website will help you plan your holiday from start to finish: local transport and accommodation; Kodai’s attractions and treks; volunteering and organic farm experience; schools and businesses. We also offer experienced knowledge on buying land or investing in real estate for holiday villas and eco-building projects, with our Real Estate Management Team giving the resources and networks to achieve this. 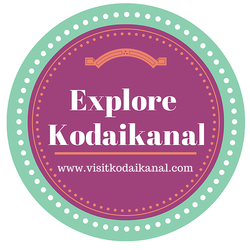 Explore the site, explore Kodaikanal.Explore the site, explore Kodai. Kodaikanal is one of the most popular and sought after honeymoon and holiday destinations in South India. This hill station stands 7200 feet above sea level and is situated in the upper Palani Hills of the Western Ghats near Madurai. The cool and pleasant weather of Kodaikanal, the scenic beauty of the rolling hills and the forest of Kodaikanal and its surroundings will mesmerize any visitor throughout the year. Walk through the wooded forests, row in the lake, bathe in one of the splashing waterfalls, go horseriding and cycle around the famous man-made lake or simply admire the views that present themselves all across the region. We use a grading system to indicate the standard of customer care and range of facilities on offer at assessed establishments. All the information provided here is validated and authentic. Platinum Rated establishments are the best, they have outstanding customer reviews, peer reviews and top service ratings. They carry an 'excellent' overall rating. 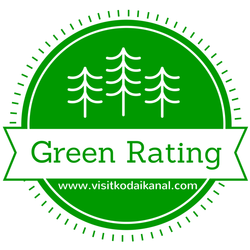 The establishments with Green Rating are natural, organic & environmentally conscious and are highly recommended. Gold Rated establishments are very good and highly recommended. Silver Rated are good and recommended.